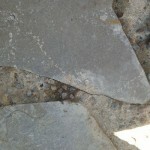 7,209 people have read this article! 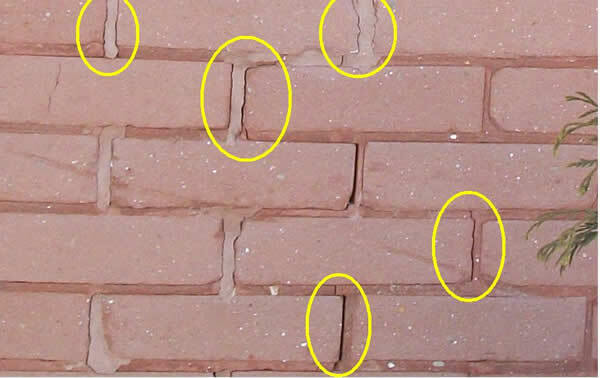 One of the keys to preserving masonry is to recognize problems when they occur, and to make the necessary repairs before the problem gets wore. 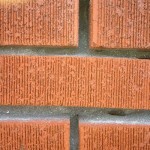 Most masonry products are built the same way. 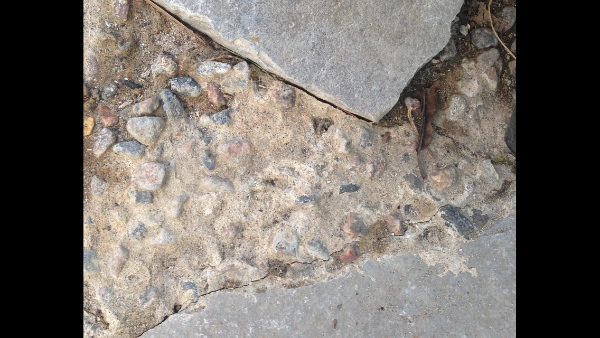 Masonry “units” – which can be bricks, concrete blocks or stones – are laid on beds of mortar and left to harden. 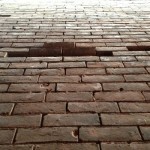 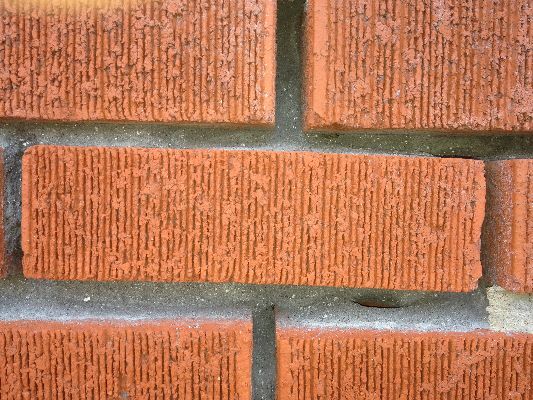 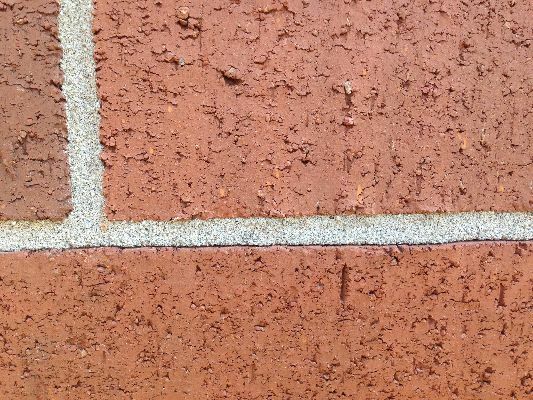 The resulting mortar joints are designed to be weaker than the units. 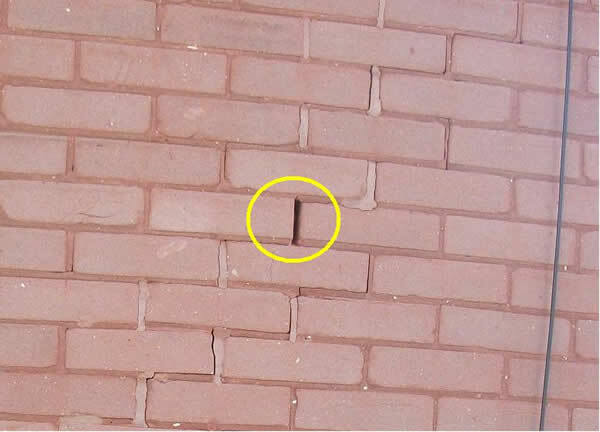 This weakness ensures that the joints will deteriorate first, making it cheaper and easier to repair the masonry. 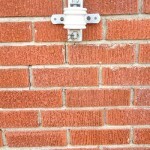 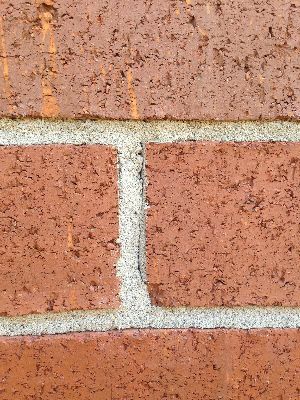 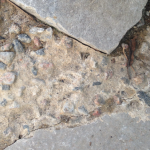 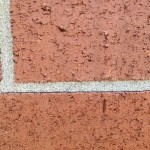 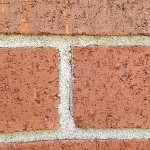 Bond breaks are cracks that develop parallel to the lines of the mortar joints. 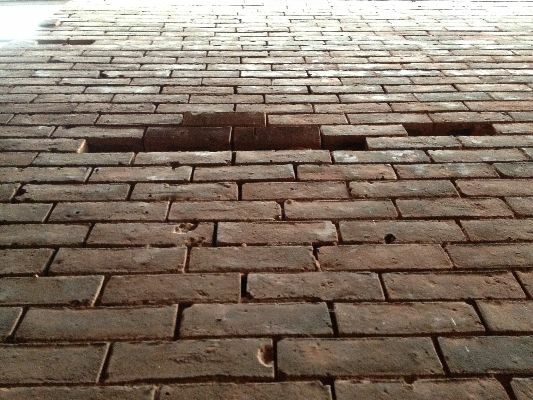 They are usually caused by expansion and contraction, minor ground settling, or a weak mortar mix. 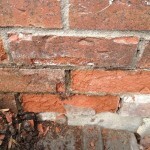 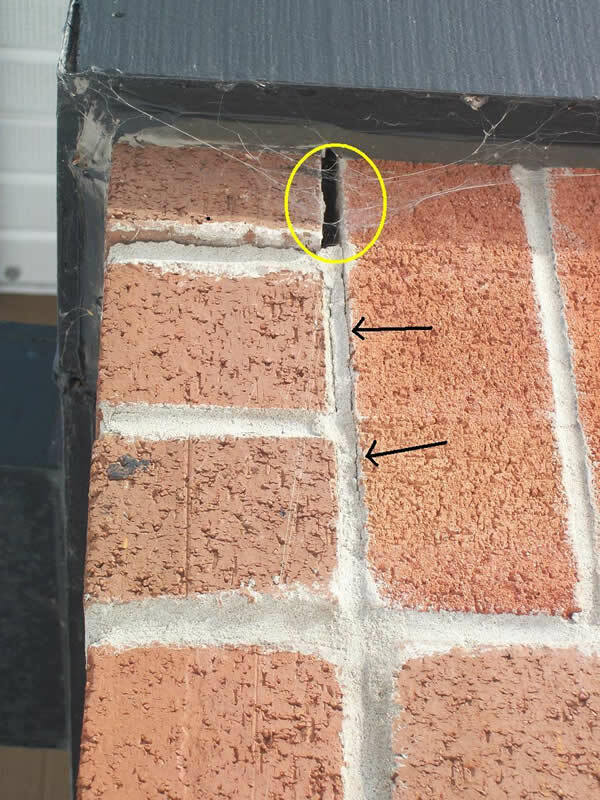 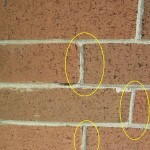 If the cracks are “hairline”, any water that seeps into the crack will be quickly evaporated by the surrounding masonry. 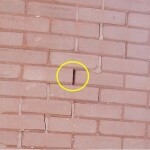 If the cracks are larger, water penetration will be inevitable. 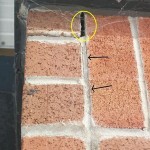 At this stage the cracks running perpendicular to the joints connect with the parallel cracks. 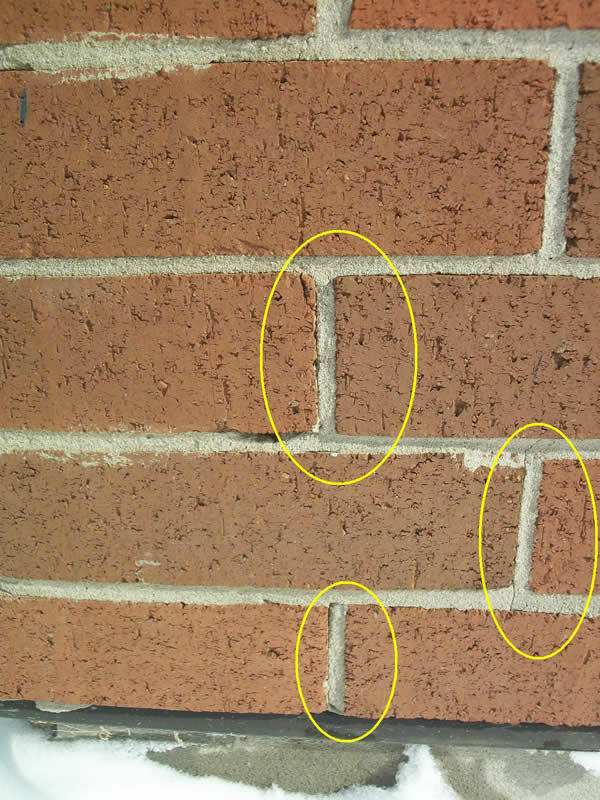 Pieces of mortar joints at these intersections start falling out. 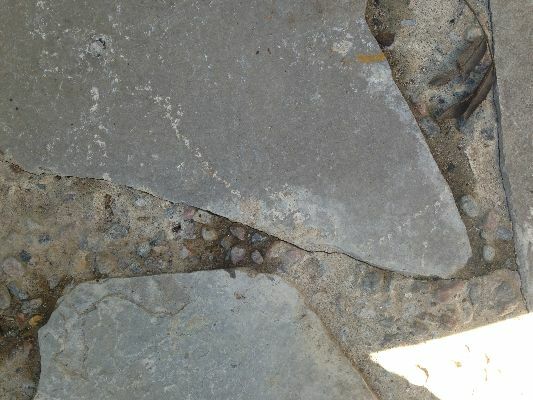 If the mortar is Portland based (hard) the mortar will fall out in finger sized chunks. 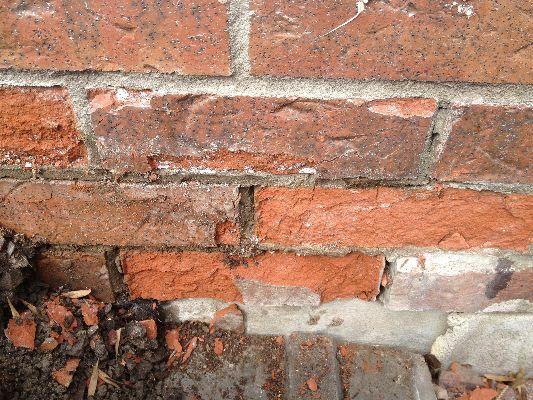 If the mortar is Lime based (soft) the mortar usually powders away, or crumbles into small peices. 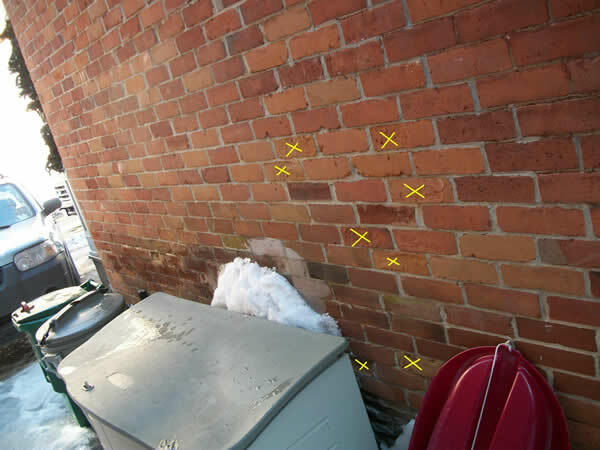 At this point the water penetration worsens as there are more openings in the wall. 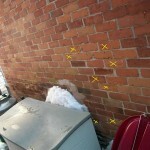 If left untreated, more bond breaks will likely occur in the surrounding area of the wall. 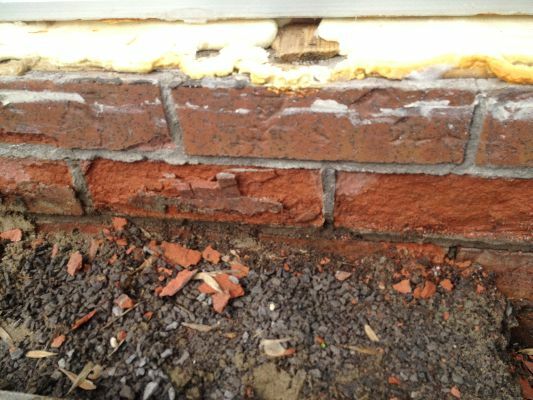 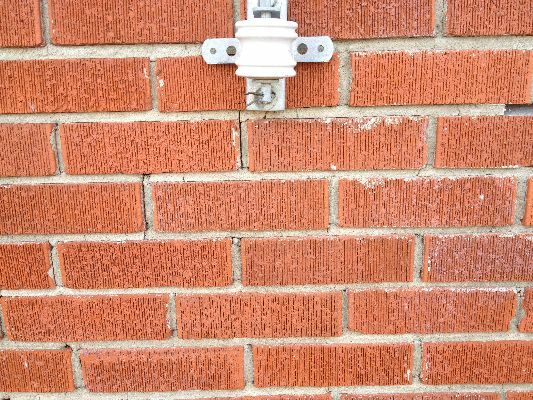 As mortar joints erode, the damage spreads to the units (bricks, stones, blocks). 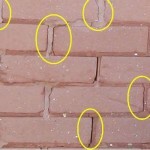 Faces of bricks spall (peel off), cracks develop, and the bricks or stones become loose. 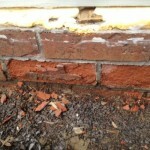 The damage will accelerate rapidly to surrounding areas at this stage.